The IMAX Enhanced initiative, which is designed to bring next level audio and visual experiences into the home has received a boost with Arcam announcing its partnership with the programme. IMAX Enhanced is a new certification and licensing programme combining high-quality consumer electronics products with IMAX digitally re-mastered 4K HDR content and DTS audio technologies created to offer consumers a new level of quality in immersive sight and sound experiences for the home. The debut line of IMAX Enhanced Arcam AV receivers will comprise the AVR390, AVR550, AVR850 and AV860, and will be available to buy from Q4 this year. 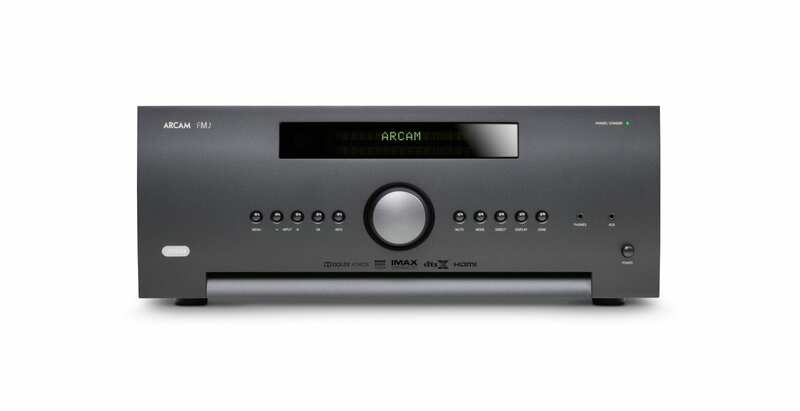 As one of the programme’s initial licensees, theCambridge-based maker will offer a line of IMAX Enhanced Arcam AV receivers,enabling consumers to experience the IMAX signature sound mix, delivered byDTS, and all with the power and grace of Arcam’s remarkable line of AV engines,says the maker. To become IMAX Enhanced-certified, consumer electronics manufacturers must meet stringent performance standards, set by a certification committee comprised of IMAX and DTS engineers and some of Hollywood’s leading technical specialists. Arcam enthuses that those settling down to a home movie with audio powered by an IMAX Enhanced Arcam AV receiver can expect a heart-pounding immersive sonic experience. Arcam’s IMAX Enhanced AV receivers feature DTS:X immersiveaudio decoding that is optimised to properly reproduce the full dynamic rangeof IMAX theatrical sound mixes available in IMAX Enhanced content. With meticulous adjustments modelled on the IMAX theatrical sound system, this proprietary IMAX audio mix is translated for home theatre environments and exclusively delivered using a special variant of the DTS:X codec technology to deliver the IMAX signature sound experience in the home. Additionally, IMAX says it is working with its global studio and content partners to make available a steady stream of IMAX Enhanced versions of blockbuster movies and additional programming. EI recently experienced what can potentially be delivered via this new system at the AWE Smart Apartment main cinema, used as a showcase for the distributor’s cinema brands. It must be said, it’s pretty impressive stuff, might it be the chance DTS has been waiting for to launch a credible challenge to Dolby Atmos? Could be. The visuals are on the money too via the IMAX part of the bargain.